The ridiculous mess over at Facebook has continued to get worse, with staff allegedly in a full-on “uproar” over the fallout of the leak of consumer hardware VP Andrew Bosworth’s 2016 memo claiming things like terrorism and cyberbullying suicides were justifiable side effects of the site’s continued growth. But the fallout at the Silicon Valley company has been wide. According to two Facebook employees, workers have been calling on internal message boards for a hunt to find those who leak to the media. 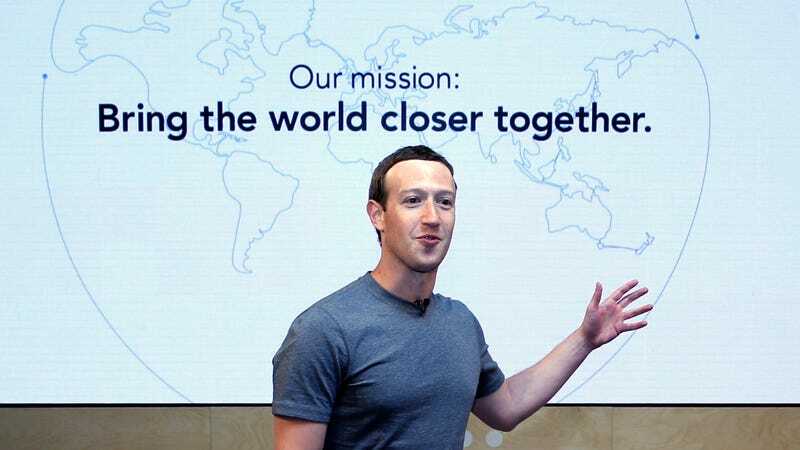 Some have questioned whether Facebook has been transparent enough with its users and with journalists, said the employees, who asked not to be identified for fear of retaliaion. Many are also concerned over what might leak next and are deleting old comments or messages that might come across as controversial or newsworthy, they said. Others argued the company needs to “do more to screen for potential whistle-blowers during the hiring process,” the Times wrote. So, in other words, the company whose whole mission was connecting users and then obsessively collecting data on and monetizing those connections is now really concerned no one learn what they were talking about. Got it. Facebook is currently facing numerous lawsuits and a Federal Trade Commission investigation over the Cambridge Analytica situation, in which the company’s loose data controls allegedly enabled a shady app to run off with extensive data on 50 million users without their consent. There’s also apparently some sort of leadership vacuum going on, with Zuckerberg and other senior leadership initially hiding from the press, Zuckerberg not making things any better when he finally emerged, and reports flying of the company preparing to fire one of its top transparency advocates, security chief Alex Stamos. Beset by all these mounting scandals, Facebook’s stock lost nearly 22 percent compared to its February 2nd peak by midweek. Though it has since recovered by slightly below 4.5 percent, confidence in the site has at a minimum been shaken, and the company has already conceded more data-sharing incidents are likely. This is all to say, perhaps Bosworth is right: Explosive growth at Facebook has indeed came with consequences.